The Power Master 7000 is a user-friendly, comprehensive, compact and cost-effective power quality monitoring and trouble-shooting unit. 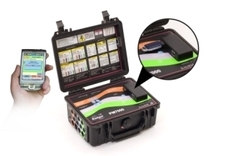 It offers virtually everything needed to monitor and record power for surveys and audits. It includes 4 voltage input channels capable for measuring 0 to 600 Vac and 4 current input channels for use with voltage output current clamps, or Rogowski Coil sensors supplied. 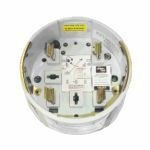 The Fault Level Monitor (FLM) is the first commercially available monitor ever developed to produce peak and RMS fault current results using natural disturbances from the grid. As well as this exclusive feature the PM7000 FLM also measures almost everything needed to monitor and record power quality parameters, including flicker, harmonics and waveforms at 19.2k samples per second. The PM3000 Power Logger is the best value 3 phase power quality & harmonic logger on the market today. It measures almost every aspect of the electricity you're supplying or receiving, so is a must for utility, electricity and power supply companies as well as large industrial consumers, from heavy machinery plants to hospitals and supermarkets. A 5-channel data logger built into an electric meter housing that is ideal for responding to residential voltage complaints and power consumption problems.